Sharia shares are securities in the form of shares of companies (issuers) which in their business activities do not conflict with the principles of sharia law (Islamic law). Sharia stock types that are recognized in the Indonesian capital market are those declared to meet sharia stock selection criteria based on Financial Services Authority (OJK) Regulation Number II.K.1 concerning Issuance of List of Sharia Securities and shares listed as sharia shares by sharia public companies based on Regulation OJK Number 17 / POJK.04 / 2015 concerning Issuance and Requirements of Sharia Securities in the Form of Shares by Sharia Issuers or Sharia Public Companies. · gambling and games that are classified as gambling. · trades that are prohibited under sharia law include: trade that is not accompanied by the delivery of goods / services and / or trade with fake offers / requests. · ribawi financial services, including: interest-based banks and / or interest-based finance companies. · buying and selling risks that contain elements of uncertainty (gharar) and / or gambling (maisir), including conventional insurance. · producing, distributing, trading, and / or providing, among other things: goods or services that are unlawful (haram li-dzatihi) and illicit goods or services not because of their substance (haram lighairihi) stipulated by the National Sharia Council of the Indonesian Ulama Council (DSN-MUI ) and goods or services that are morally damaging and / or harmful. · conduct transactions that contain elements of bribery (risywah). · the total interest-based debt compared to the total assets of the company is not more than 45% or total debt compared to the company's equity of not more than 81.82%. This means that the total equity (net capital) owned by the company is at least 55% of all assets. Example: PT. BBBB has assets of Rp10 trillion, then the equity (net capital) that must be owned is at least Rp.5.5 trillion, while the interest-based liabilities (debt / liabilities) are a maximum of Rp.4.5 trillion. The interest-based debt includes loans from conventional banks or the issuance of flat-interest companies' bonds (bonds). For debts in the form of work advances or debt payment for supply of raw materials from vendors, they are not included in interest-based debt (ribawi). · total interest income and other non-halal income compared to total business income (revenue) and other income no more than 10%. This means that the business income obtained by means of sharia law is at least 90% of the total operating income for the current year. Example: PT. BBBB earns business income in the current year of Rp500 billion, then the income derived from interest on deposits (deposits) and other non-halal income is not more than Rp50 billion. The provisions above refer to the principles or rules of sharia law (Islamic law) based on the Fatwa of the National Sharia Council of the Indonesian Ulema Council (DSN-MUI) Number 80 / DSN-MUI / III / 2011 concerning Application of Sharia Principles in the Securities Trading Mechanism Equity in the Regular Stock Exchange Market. At present there are around 400 companies (issuers) whose shares are categorized as sharia shares and listed on the Indonesia Stock Exchange (IDX). All of them are incorporated into the Indonesian Syariah Stock Index (ISSI), which has been launched since 12 May 2011 after it was previously called the Jakarta Islamic Index (JII) which was launched in 2000. The ISSI constituents are re-selected twice a year in May and in the month November of the year follows the schedule of the DES review conducted by the OJK. Therefore, every selection period there is always an Islamic stock that goes in or out into an ISSI constituency. The ISSI calculation follows the other stock index calculation methods available on the IDX, namely the weighted average of market capitalization using December 2007 as the base year of the ISSI calculation. Of all the ISSI constituents, some of them are members of the Jakarta Islamic Index (JII) which has long been launched on the IDX since July 3, 2000. JII consists of 30 most liquid or heavily traded stocks on the IDX with high volume. As with ISSI, a review of JII's constituent sharia shares is conducted twice a year, in May and November of the year, following the OJK's DES review schedule. a. The sharia shares have been listed as ISSI constituents for the past 6 months. b. 60 stocks were selected based on the highest order of market capitalization in the past 1 year. c. Of the 60 shares, 30 stocks were selected based on the highest average daily transaction value on the regular market. d. The remaining 30 shares are selected as JII constituents. In this group there are stocks of large companies and have a good and trusted reputation that is already familiar in the community such as PT. Indofood Sukses Makmur Tbk, PT. Indofood CBP Sukses Makmur Tbk, PT. Astra International Tbk, PT. Telkom Indonesia, PT. Jasa Marga Tbk, PT. Unilver Indonesia Tbk, PT. Kalbe Farma Tbk. In addition to JII which contains the 30 most liquid ISSI constituent stocks, there is another ISSI liquid constituent ISSI index, namely the Jakarta Islamic Index 70 (JII70) which was launched on May 17 2018. The JII70 constituent consists of 70 most liquid sharia stocks including constituents JII. As with ISSI and JII, the review of Islamic stocks which are constituents of JII70 are conducted twice in a year, namely in May and November of the year, following the schedule of OJK's DES review. b. Selected 150 shares based on the highest order of market capitalization for the past 1 year. c. Of the 150 shares, 70 shares were selected based on the highest average daily transaction value on the regular market. d. The remaining 70 shares are selected as JII70 constituents. The procedures for sharia share transactions that are constituents of ISSI, JII and JII70 are in principle the same as the procedures for other regular share transactions on the IDX. 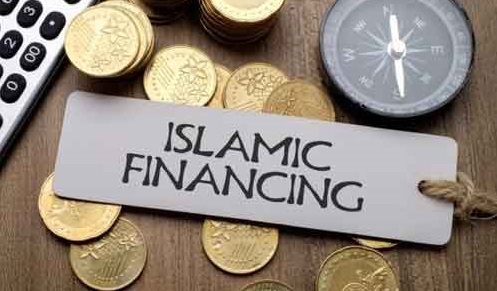 The difference is that transactions on sharia shares are carried out through securities companies as securities brokers who also have sharia transaction applications as well. The growth of market capitalization of sharia shares that are incorporated in the JII constituents from 2000 to December 2018 increased from only IDR 74.27 trillion to IDR 2,239.51 trillion or an increase of IDR 2,165.24 trillion equivalent to 2,915.36% for 18 years. Meanwhile, the growth of market capitalization of sharia shares incorporated in ISSI constituents from 2011 to December 2018 increased from the original Rp1,968.09 trillion to Rp3,666.69 trillion, up Rp1,698.60 Trillions are equivalent to 86.31% for 8 years. Whereas the growth of market capitalization of sharia shares incorporated in the JII70 constituents as of May 2018 until December 2018 increased from the original Rp2,575.67 trillion to Rp2,715.85 trillion, up Rp140.18 trillion equivalent with 5.44% for 8 months. The growth of market capitalization of sharia stocks which are incorporated as ISSI, JII and JII70 constituents can be seen in the list of links below. The data above shows that investor interest in Islamic stocks is increasingly high and the number of investors is increasing. This is evidenced by the continued increase in Islamic stock-stock market capitalization, meaning that the amount of capital invested in Islamic stocks continues to increase from time to time. Finally, "with investments in sharia shares, there will be abundant and blessed profits", hopefully Allah, the Almighty God blesses all of them.